ORLANDO, Fla. – (September 2013) – Join SeaWorld Orlando every weekend in October for silly, spooky fun at Halloween Spooktacular. 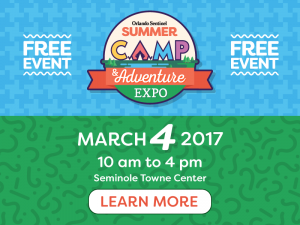 During this daytime event, families will be immersed in an underwater “fantasea” filled with trick-or-treating, dancing with sea fairies and pumpkin fish and sea-themed arts and crafts. SeaWorld’s Halloween Spooktacular takes place weekends in October: 5-6, 12-13, 19-20 and 26-27, from 12 to 8 p.m., leaving the littlest of trick-or-treaters wide-eyed for all of the fun-filled activities. Halloween Spooktacular is included with park admission. Princess Penelope and her undersea friends invite guests to join the Spooktacular Dance Party, where children can dance along to a Spooktacular mix of line-dancing favorites as clouds of bubbles fill the evening air. The party will kick off at the front of the park every event night an hour before SeaWorld’s park closing time. Offering more than two million pieces of sweet treats, costumed youngsters can trick-or-treat “under the sea.” Each trick-or-treat station features an assortment of ghoulish goodies including Tootsie Roll, Jelly Belly jelly beans, Airheads and other candy favorites. 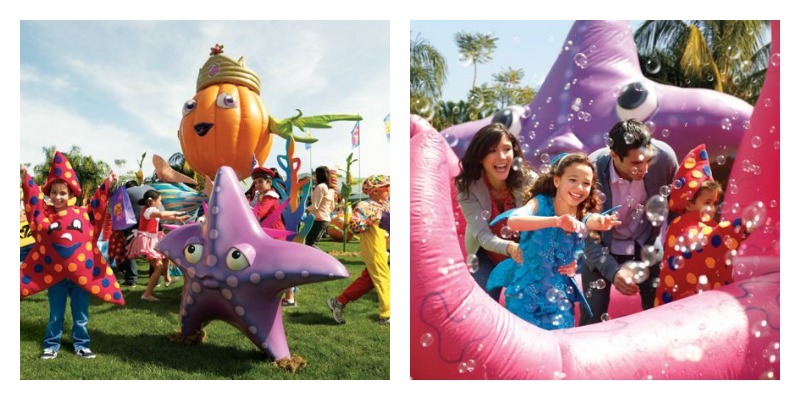 Located at SeaWorld’s Bayside area, this dynamic underwater environment comes to life each day with a live DJ, a variety of interactive crafts to choose from, countless bubbles floating overhead and colorful pumpkin fish gliding around! Kids and parents alike can have a “splash” creating their own sweet treats at the cookie decorating station. Kids will be able to decorate and devour their spooky cookie when they purchase a kit that comes equipped with a cookie, frosting and toppings. Jelly Belly artist in residence, Kristen Cumings, will use more than 10,000 Jelly Belly jelly beans to create a portrait of rockhopper penguins, reflecting SeaWorld’s all-new, Antarctica: Empire of the Penguin. Guests can watch as this handmade jelly bean creation comes together in front of their eyes during the final weekend of Halloween Spooktacular, Oct. 26 and 27. Kids can join in the fun too, with the opportunity to decorate a Halloween Spooktacular mural with a variety of Jelly Belly jelly beans. 1-2-3… Dine with me! Don’t walk around on an empty stomach, stay 1 step ahead of hunger! What goes great with your 2 morning eggs? How about infinite hugs from Count von Count, Elmo and his furry friends! Featuring a delicious buffet sprinkled with the hottest characters in town, the Count’s Spooktacular Breakfast is a fun-filled experience sure to delight kids and parents alike. You can “count” on it! Adults $24, Child (2-9) $14.